No matter which team comes out victorious, when sixes go into the stands, we all win. Another week has passed in the VIVO Indian Premier League and yet again, the action on the field, and off it, produced moments so ingenious and so marvelous, that they deserved an award of their own. By now, everyone knows the drill, so let’s jump into this week’s Kuch Bhi Award winners. For all cricket fans around the world that have wondered why o’ why are the cricketers playing football before a match, Mumbai Indians’ Rohit Sharma showed just why. After the Hitman danced down the pitch, the bowler tried to bowl it way wide down the leg side in an attempt to give his keeper a chance to stump the opener. With no chance of getting his bat to the ball, Sharma showed off his football skills and stretched his foot to block the ball reaching the keeper, saving his wicket in the process. For clearing the doubts of millions around the world, we give #45 and his team 4.5 points. Nothing soothes the body as food does and nothing makes food better than discounts. So, when a food delivery app offered 30 per cent cashback for accurately predicting the winner of the match between Rajasthan Royals and Chennai Super Kings, many chose the latter owing to the form of the two teams this season. But with CSK needing three of the last ball and tailender Mitchell Santner facing the delivery, the hopes of a cashback seemed bleak. But the spinner smashed the delivery out of the park for a six, winning the game for his team and helping thousands get their money back. For his heroics in chasing down those three runs, Santner and CSK get three points. Another food delivery app came up with an innovative concept of offering 60 per cent for just six minutes after a six had been hit in a game, keeping fans at the edge of their seats with their phones in their hands. 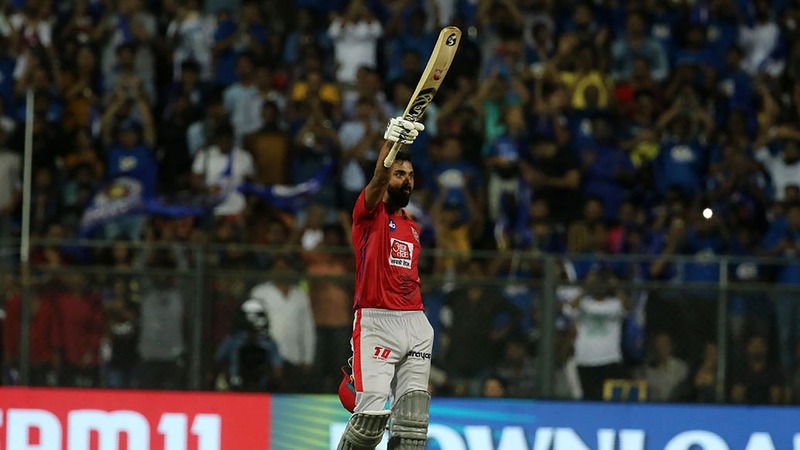 While it can be a bit tedious to hope for a six just to avail a sweet deal in a short window, KL Rahul, Chris Gayle and Kieron Pollard ensured no one missed out on the opportunity, as they hit 23 sixes amongst themselves giving everyone ample time to order food at a discounted price. For their service to the viewers, we give the Shers and MI three points each. Harvey Dent better known as Two-Face, the notorious villain from the Batman universe, has been brilliantly portrayed onscreen by a number of actors and voice-artists, but no one played it better than the Sawai Mansingh Stadium pitch did in the match between Kolkata Knight Riders and Rajasthan Royals. A humble slow wicket in the first innings, the pitch suddenly turned into a run-scoring belter in the second, giving us a rather lopsided contest. For this brilliant portrayal of Two-Face, we give Rajasthan Royal’s home stadium two points.